Kairavini karaiyinile - திரு அல்லிக்கேணி குளக்கரையோரம்: the Varaha Temple at famous Khajuraho ! It was a great opportunity to be in this area known as Bundelkhand, a geographic region of central India. The region is now divided between the states of Uttar Pradesh and Madhya Pradesh, with the larger portion lying in M.P. The Chandela Rajput clan ruled Bundelkhand from the 10th to the 16th centuries. While one may instantly know about Bundelkhand, one of its constituents – the Khajuraho is famous for its temples and ornate architecture. The Khajuraho group of Monuments is a group of Hindu and Jain temples in Madhya Pradesh. Situate about 175 kilometres (109 mi) southeast of Jhansi, they are one of the UNESCO World Heritage Sites in India.The temples are famous for their nagara-style architectural symbolism and their very ornate architecture. 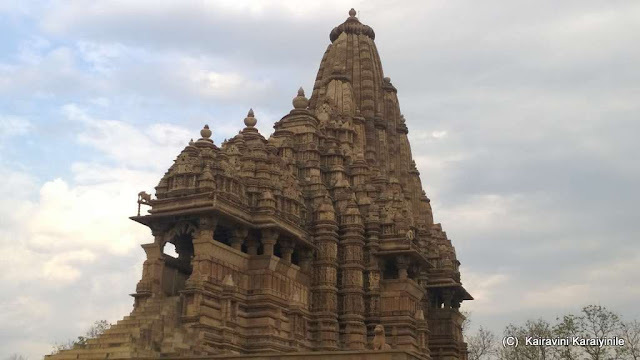 Most Khajuraho temples were built between 950 and 1050 CE by the Chandela dynasty. 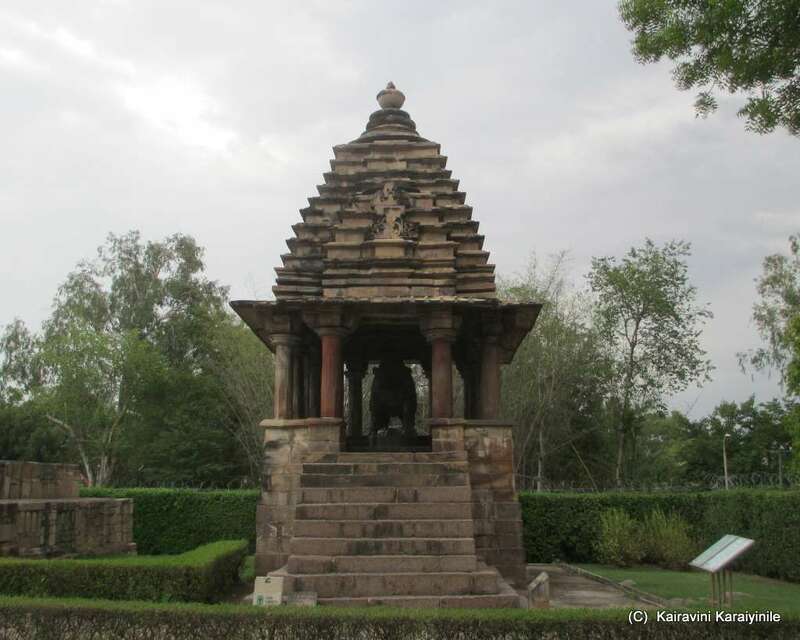 Historical records note that Khajuraho temple site had 85 temples by 12th century, spread over 20 square kilometers. 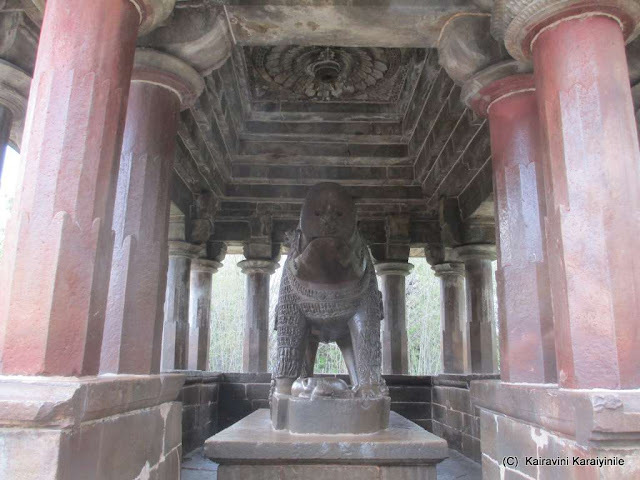 Of these, only about 20 temples have survived, most of them mindlessly destroyed by invaders. Khajuraho, represents a distinct pattern of art and temple architecture of its own reminding one of the rich and creative period it witnessed during the Chandella rule. It was the principal seat of authority of the Chandella rulers who adorned it with numerous tanks, scores of lofty temples of sculptural grace and architectural splendour. Other than Chausath-Yogini, Brahma and Mahadeva which are of granite, all the other temples are of fine grained sandstone, buff, pink or pale yellow in colour. Yasovarman (AD 954) built the temple of Vishnu, now famous as Lakshmana temple is an ornate and evolved example of its time proclaiming the prestige of the Chandellas – and just before that lies the beautiful small ‘Varaha temple’. 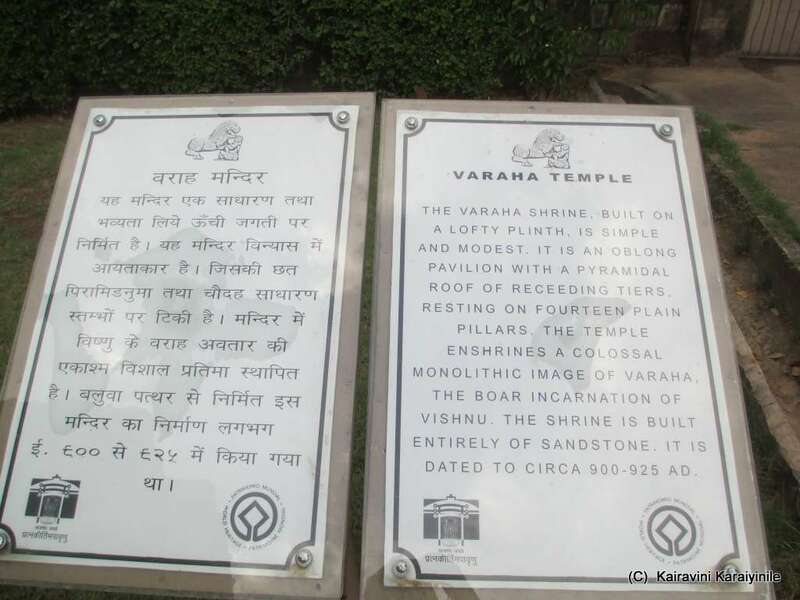 It is a single structure located in the Western group of Temple complex and enshrinesa colossal monolithic image of Varaha, the boar incarnation of Lord Vishnu. Varaha (Sanskrit: वराह) is the third Avatar of the Lord Vishnu, in the form of a Varaha (Boar). SrimanNarayana took this form to defeat Hiranyaksha, a demon who had taken the Earth (Prithvi) and carried it to the bottom of what is described as the cosmic ocean in the story. 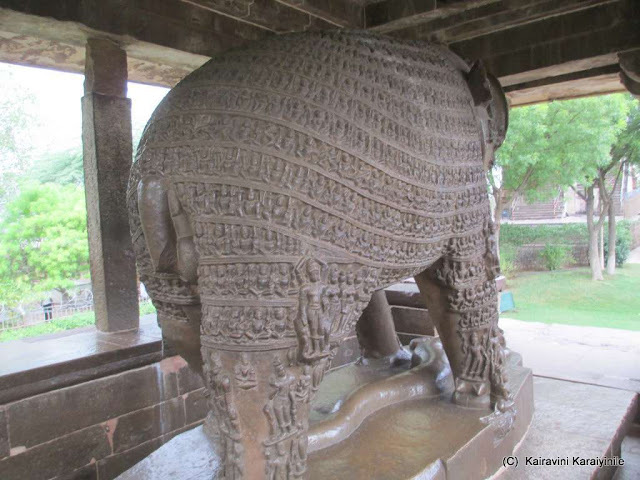 Down South at Sri Mushnam, Lord Maha Vishnu worshipped as ‘AdhiVarahar’has the human body and the head of the boar. In the most holy Thirumala too, we have the sannathi of AdhiVarahar on the banks of the holy tank. The one here is different. The Varaha Shrine, built on a lofty plinth, is simple and modest. It has an oblong pavilion with a pyramidal roof of receding tiers, resting on fourteen plain pillars. The shrine is built entirely of sandstone. 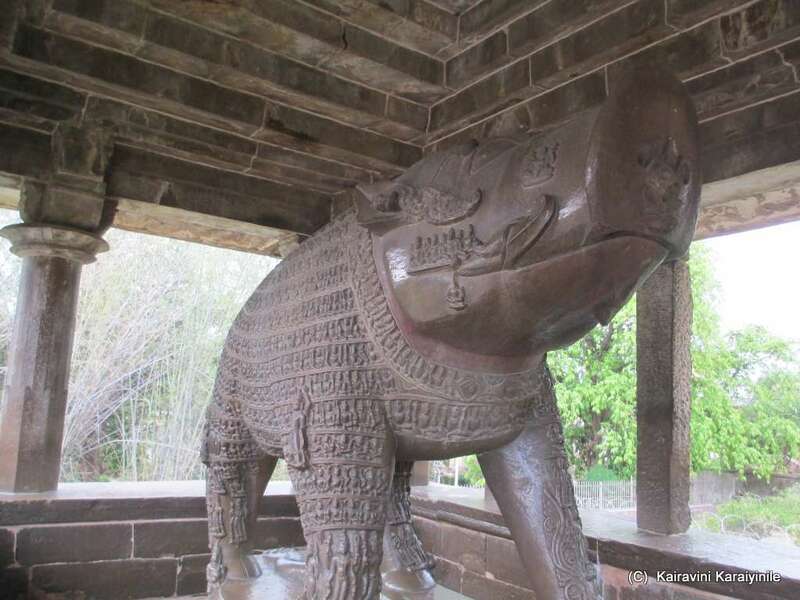 The statue of Varaha is 2.6 m long and 1.7 high. The sculpture is carved with numerous figures on its entire body. The sculpture carved between nose and mouth, depicts goddess (of Saraswati) carrying Veena in her arms. This temple dates to 900-925 AD – quite unfortunate that they remain as monuments, while the original purpose of Temples of worship has been lost !! 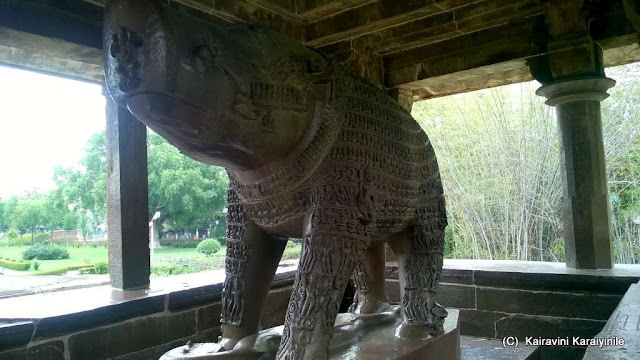 Here are some photos of the Varaha temple at Khajuraho.